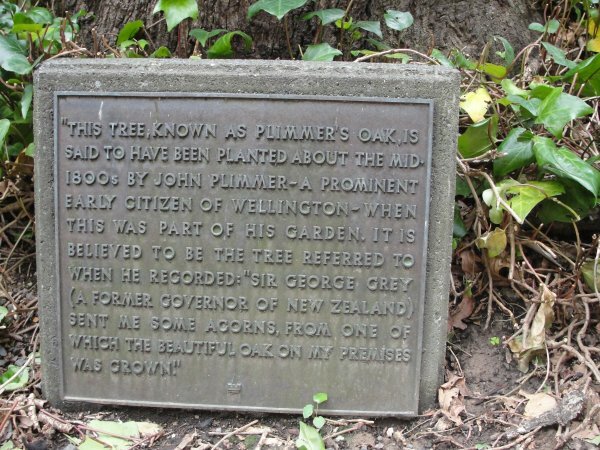 'There is a plaque at base of the tree which attributes the date and planting to Mr. John Plimmer'. Mole 1979. 'The Plimmer Family owned much of the land that became the commercial centre of Wellington prior to foreshore reclamation. 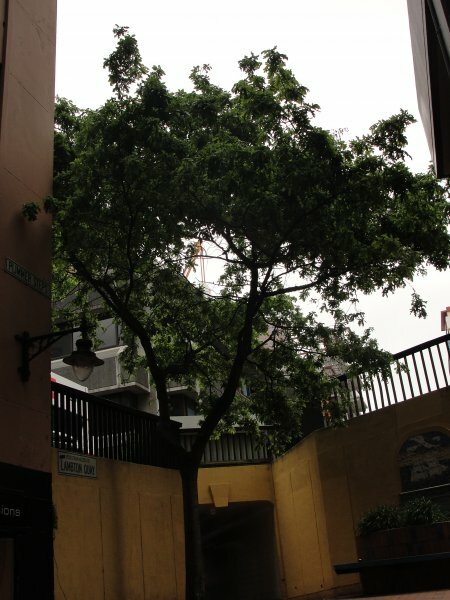 This tree was planted when the land was part of their front garden. The acorn from which this tree was grown was sent from South Africa to John Plimmer by Sir George Grey when he was Governor of the Cape Colony, South Africa from 1859 to 1861'. Burstall 1974. Reference. Burstall SW. FM. Report no. 20. 1974; p.39. Burstall SW & Sale EV. 'Great Trees of New Zealand' 1984; pp.172-4. 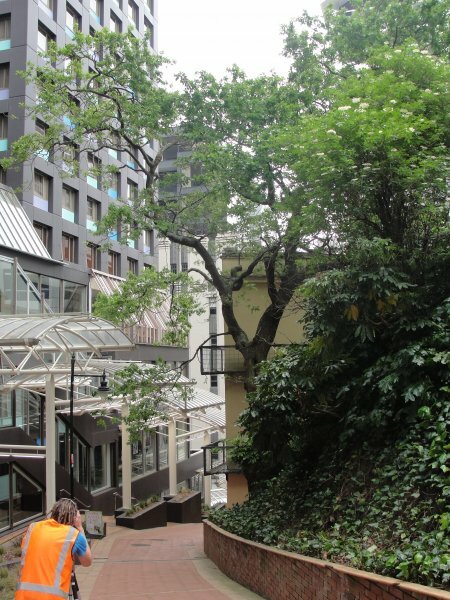 On the 14th April 2017 the tree was found to have a serious crack in the stem and as a result was leaning on the adjacent building. It has been heavily reduced as a short-term measure and its future is being considered. Genetic material had been taken from the tree and a replacement tree is being cultivated. A nearby oak which was planted 30 years ago is incorrectly cited as being a clone of this tree (Cadwallader, B 2017). In good health however structurally very unsound. 14 Apr 2017 Cadwallader, B.G. & Hill, R.
09 Nov 2010 Benson, A.R. & Spencer, D.